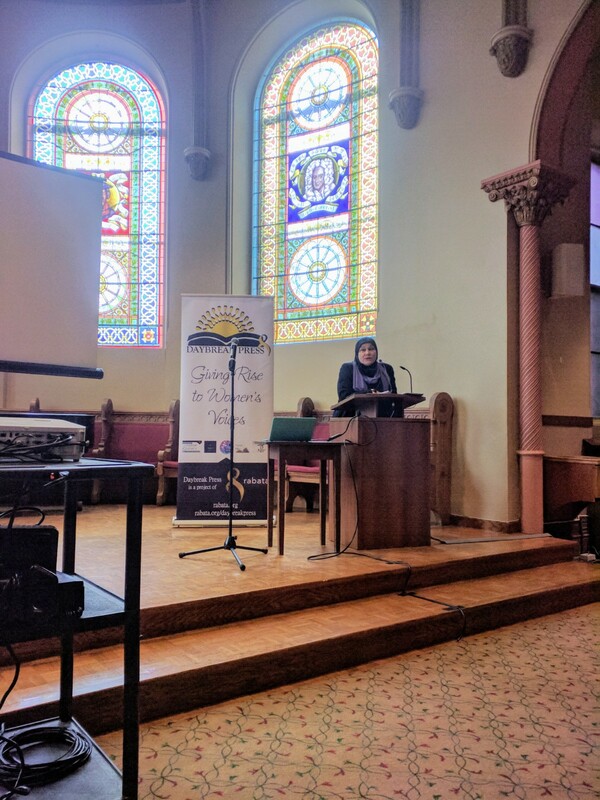 As it was my first trip to Canada, it is fitting that I covered the first time Daybreak Press’ Muslim Women’s Literary Conference was in Toronto, Canada. Apparently, writing fills another space- the “private, sacred space.” I never thought of it this way, but Ustadha Shehnaz Karim pointed out that writing is a prayer, a way to talk to God. With award-winning books like An Acquaintance by Saba Syed (which is on my TBR list and recommended by Omar Suleiman), Daybreak Press seeks to publish fiction and nonfiction manuscripts that portray Islam in a positive light. “Islam should be present in the story but doesn’t have to preach,” outlined Tamara Grey. Admittedly, this conference with brilliant, hard-working Muslim women did more than motivate me to write; it increased my interest in reading Islamic stories and writing for purpose, rather than achievement. Amongst the women at the conference was the founder of Toronto’s Muslim Writers Collective, Mariam. Although she doesn’t claim to be a writer herself, she loved organizing the first Muslim Writers Collective event in Toronto because of its diversity. “We had groups come together that normally wouldn’t,” Mariam stated. She hopes to one day collaborate with Daybreak for a women’s-only event. As a Black Muslim woman, originally from Somalia, Muhiima’s Quest author Rahma Mohamed personally knows about the struggle to tell her own story, even in the Muslim community. Rahma Mohamed, alongside her literary masterpiece. Here is another current hot-button issue. Best-selling Canadian author, S.K. Ali (@SajidahWrites), tweeted that her book about a hijabi, Saints and Misfits, was overlooked for an Ontario Library Association award- instead the nomination went to a non-Muslim author! Hopefully with Muslim women authors like Rahma and S.K. Ali speaking out, we will finally see true inclusivity. “I continue to spread this message. Anytime I read at school, whether it is a Muslim school or not, I make it clear we all have the right to be represented and seen in the books we read. I stand proud to speak for all those marginalized communities I belong to,” said Rahma. I was excited to attend this Muslim women’s-only writers event, but apparently they are common in Canada. In fact, spoken word presenter, Timaj Garad, was involved in two other Muslim women storytelling events: headlining one in October, and hosting the other in November. I’d like to see more events like this Literary Conference in the U.S., namely California. There are sisters-only events here, but they are knowledge-based: lectures, halaqas, teas, etc. I’d like to see gatherings for creative outlets: women’s-only readings, and critique groups. We need spaces to hear our creative voices.